Business Owners and Corporations are often looking for innovative ways to supplement Benefit Packages to attract, retain and reward Key Executives. One very accepted and effective way of accomplishing this goal is to provide an Executive Compensation Package that could include well-designed insurance products such as Life Insurance, Disability Insurance and Critical Illness Insurance! An Executive Compensation Plan can be created to provide additional financial security to cover funeral expenses, education costs, reduce debt and provide future income for the Executive’s family through a personal Life Insurance policy. For such a plan the executive would be underwritten by an Insurer but the advantage is that the policy would provide the executive with a Guaranteed Renewable policy, Guaranteed Premiums and Portable coverage that can follow him/her through their career and into retirement. Dependent upon the type of Insurance contract chosen, the executive could be rewarded with additional bonuses etc. being paid into a tax-deferred investment vehicle that could be provided as a retirement program. **This type of policy may be purchased solely by the business/employer, or it may be owned and funded jointly by the employer and the executive. Any employer paid portion of insurance premium must be reported as a taxable benefit to the Executive. It is also important to remember that the amount of premium reported represents a reasonable cost for the benefit received. An Executive Compensation Plan would carve the executive’s disability coverage from the regular traditional group plan and provide him with a program that is underwritten to provide the highest standard of coverage. This type of plan would provide Guaranteed Renewability and Guaranteed Premiums along with Portability so that the policy could follow him/her throughout their entire career. The plan would ensure that the executive’s entire income including bonuses, would be insured so that in the event that he/she can no longer earn an income due to a disability that they do not experience any unwanted gaps in their financial security due to an under insured income. Individual Disability Insurance policies can also be designed to provide optional benefits that are never available in a traditional benefit plan such as a Return of Premium. This option could be built into the executive’s plan to reward him/her for remaining healthy and productive. Up to 50% of the premium paid into the policy can be returned 100% Tax tree dependent upon how the policy is structured when purchased. 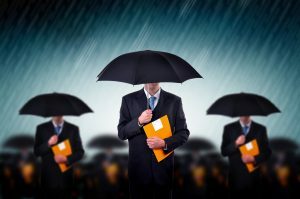 An Executive Compensation Plan providing Critical Illness Insurance could provide financial security for both the executive and their family in the event that the executive is diagnosed with a covered critical illness. This product will pay out a lump sum, tax free benefit (dependent upon policy structure at implementation) to the executive enabling him/her to make decisions regarding their present health & financial situation as well as future plans without affecting their assets or savings. Since this type of plan would require the executive to be fully underwritten, the coverage unlike the traditional group plan coverage, would be Guaranteed Renewable at Guaranteed Rates along with the Portability to maintain this very valuable coverage throughout his/her career and into retirement. Individual Critical Illness policies also provide optional coverage such as a Return of Premium. When added into the policy, this option can reward the executive for remaining healthy by returning up to 100% of the premiums paid into the policy. These premiums can be returned 100% Tax-Free depending upon how the plan is structured when purchased. If you would like assistance with establishing an Executive Compensation package for your Key Employees or Key Executives that would be innovative and collaborative, please give Health Risk a call today…we will help you design a plan that will make you stand out amongst the Employer Crowd!